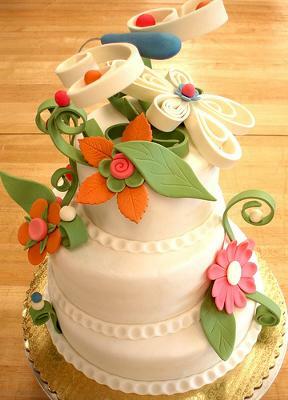 This beautiful cake was created by starfin from flickr (who graciously gave us permission to share this photo.) The detail work was built out of gumpaste. Very original and nicely done. I wish I had this talent!!! This is very original! I love whimsy! Such perfection!